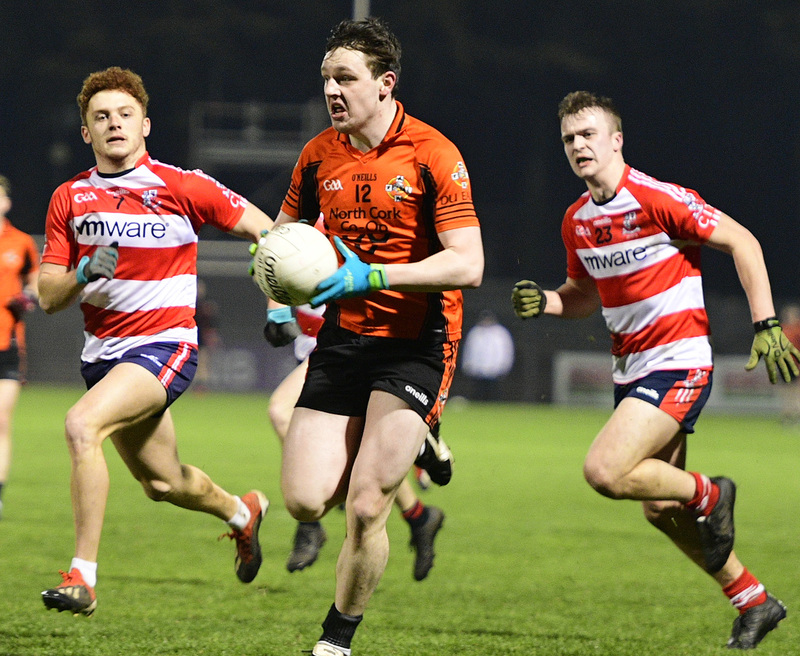 A strong second half performance allowed Duhallow inflict defeat on Cork IT in a keenly contested Co. SFC(Divisional/ Colleges Round 2) at Pairc Uí Rinn. When the need was greatest, Duhallow rose to the occasion, their attack holding more options to carve out telling scores. CIT started at a pace and powerful thrusts yielded a goal from Evan Murphy to jump 1-4 to 0-1 ahead. For a spell, Duhallow managed to take the wind out of their opponent sails, Anthony O’Connor netted but CIT answered with a Damien Gore goal to lead 2-8 to 1-6 at the break. Duhallow weren’t found wanting and restarted with a productive flourish with Donncha O’Connor and Eoghan McSweeney in magnificent shooting form. Indeed, Duhallow pulled well clear, a greater work ethic, slicker combination play yielded terrific scores. 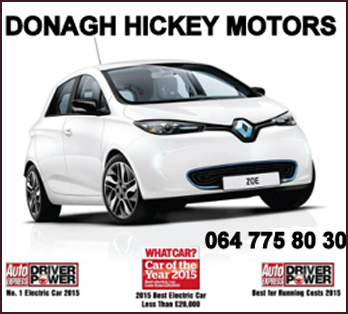 Victory sets up Duhallow a place in Round 3 later in the summer. DUHALLOW: P Doyle(Knocknagree), J McLoughlin(Kanturk), E O’Callaghan(Rockchapel), B Daly(Newmarket), L McLoughlin(Kanturk), L O’Neill(Kanturk) 0-1, K Crowley(Millstreet); L McLoughlin(Kanturk); D O’Keeffe(Newmarket), P Walsh(Kanturk) 0-2; F O’Connor(Knocknagree), A O’Connor(Knocknagree) 1-1, E McSweeney(Knocknagree) 0-6, D O’Connor(Ballydesmond) 0-6f, J O’Connor(Boherbue) 0-2f, C O’Keeffe(Newmarket). Subs. C O’Callaghan(Dromtariffe), I Walsh(Kanturk), K Cremin(Boherbue), B O’Connor(Newmarket). CORK IT: C Kelly(Éire Óg); B Sugrue(Renard), A Browne(Newmarket), E Browne(Listowel Emmets); M Lordan(Ballinora), M Collins(Kilmacabea), N Donohue(Firies); K O’Hanlon(Kilshannig) 0-1’45, B Hyland(Fr. Sheehys) 0-1; S Walsh(Mitchelstown) 0-1, E Murphy(Dromtariffe) 1-0, M Bradley(Aghabullogue); D Gore(Kilmacabea) 1-2, J Crean(Annascaul), D O’Sullivan(Firies) 0-4(0-3f). Subs. G Savage(Kerins O’Rahilly), T Sheehy(Dingle) 0-1f, J Harrington(Adrigole), C Ó MurchúAn Gaeltacht), J Ryan(Kilmurry) 0-1f.